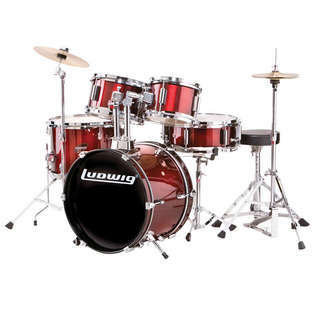 The Ludwig Junior Drum Set is perfect for kids, or those looking for a compact kit. Includes everything you need to get started including drums, cymbals, and stands. Sized for 4-8 year-old drummers.